Home → Blog → My Kitchen Tap is dripping where the spout meets the base of the tap? New O Ring Kit required. My Kitchen Tap is dripping where the spout meets the base of the tap? New O Ring Kit required. I have a similar issue – I can’s see how to get the spout out of the main body after removing the small screw at the back. Where is the “spout collar” ? email us a picture of your Tap so that we can see what your problem is. Send it to sales@Tapsandsinksonline.co.uk with a brief description again of your problem and we will get back to you. If I have identified the tap correctly, it is a single lever tap. Unfortunately I don’t have a tech specification for this tap but similar taps take the 1231R O Ring Kit but that comes with 2 black rubber o rings and 2 white ones. The O Ring Kit 1239R comes with 2 black and one white. One option would be to purchase both and then return either (or both) if not required. I need a new cold valve for a Doeic filterflow tap but I have no idea how to replace the old one. How do i take the tap apart? 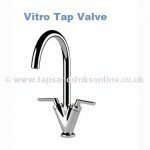 Our Guide :7 Easy steps to replace a Kitchen Tap Valve should be of help to you. Hi, our Carron Phoenix kitchen tap is leaking at the joint between the top of the hot and cold mixer housing ant the swinging spout outlet arm. Is it and easy job to fix or do I need to get a plumber in? A photo has been sent separately as I couldn’t attach to this message. I changed the O-rings no problem but the little grub screw at the back that held the tap in place (entry point at back of the base of the tap) has a worn ‘allen key’ screw. I have cut a grove so that I can use a standard flat screwdriver – but the grub screw itself seems to have lost its thread so that the Tap unit is easily pushed out by the pressure of the cold water flow! This is a Neoperl tap servicing between 2 basins. Plumbers suppliers that I have visited locally don’t stock such an insignificant spare part! I can’t believe I have to invest in a new tap and a plumber to fit when all I need is this wee grub screw! Help! Anybody? I can’t get the valve cover off my San Marco Florence Kitchen Tap. Do I need to take it off to change the washers etc? I require a seal kit for a Carron Zinia tap. Do you stock this or can you tell me which size I require? Hi, I have a Franke Planar tap that leaks where the swivel arm connects with the tap body. I can’t see how this comes apart in order to replace any parts. Also I can’t see any o ring parts on your site to replace the old ones. Please advise? Hi Jon, there is a small grub screw behind the spout / base. Please also see our Guide How to remove Kitchen Tap Spout that should assist you. 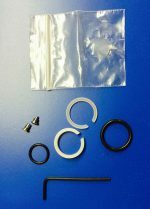 The Franke Planar O Ring Kit SP2268 is available here and there is a guide on the product : How to change a Kitchen Tap O Ring Kit as well to assist. Please note that parts pre 02/08 are not available. I need o rings for my gold Victorian Franke mixer tap. Leek at base of spout. No looking screws.Unscrewed round nut holding spout to base. Turned spout to 9 o clock position, tried pulling spout away from base, no joy. Is it supposed to be this tight? Any ideas? Also o ring part number please. Dear Ron, here is the link to the O Ring Kit that you need. You shouldnt have to turn the Spout to remove it. You need to pull it out but make sure that you pull it upwards i.e. stand above it so that you pull it straight up rather than sideways or at an angle. If you have limescale or debris in your water then it might make the spout harder to remove. 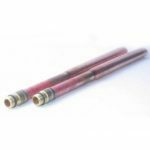 See this blog link here Removing Limescale to see if that helps. Thanks for that info, I’ll order the o-rings and hopefully be able to replace them myself! Any tips or illustration on how to do? HI Ron, do you mean any illustrations about removing the spout or changing the O Rings ? I can make a video if you are really stuck but it could be a few days at a minimum. I have replaced the o rings on my Franke Rotaflow tap with genuine replacement parts but it still leaks!! Any suggestions please. Thanks. HI Pete I don’t have any information on this tap. If you want to email me a picture of the o rings on the spout and also measure the outside diameter of the spout (at the bottom) we might be able to recommend o ring kits to try. Email all pictures to sales@tapsandsinksonline.co.uk. The more information / pictures that you can send, the better. I have a TAP3456 Rhone Swan neck mixture tap, it is dripping from the spout do I need to change the two 3 x 23 OD O-rings and the 3 x 23 OD white plastic anti friction spilt ring.